Shower manufacturer Mira has launched into a new market with the introduction of its first bath range, available instore in early 2019. The Mira Flight bath is made from acrylic and features BioCote technology, which is claimed to reduce mould growth. BioCote incorporates anti-microbial silver ion technology, which reportedly reduces microbes by up to 99.9%. Available in a choice of three drop down and one freestanding model, all baths feature a removeable gel cushion and a solid oak bench. With a soft radius design, Mira Flight comes complete with a circular chrome overflow and white acrylic panels. The Mira Flight bath is capable of withstanding up to 490kg, and is self-supporting so doesn’t require a wooden frame. 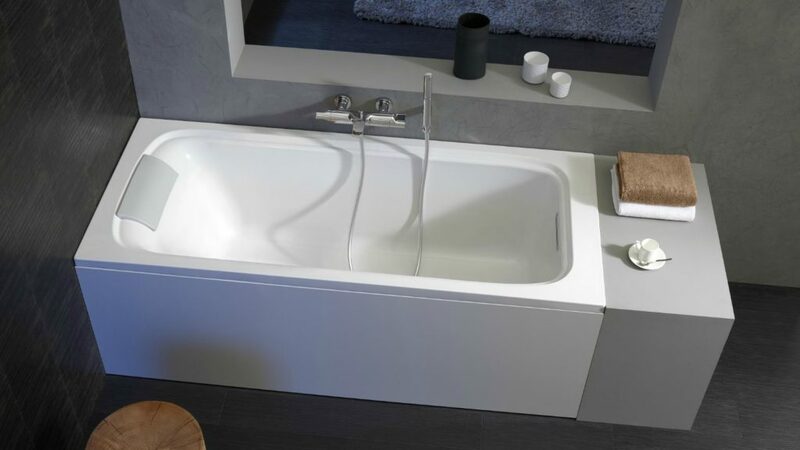 All baths in the Mira Flight range come complete with a 10-year guarantee. The baths add to the Mira Flight shower tray which has seen the production of its two millionth model.